The art of graffiti is alive and well in this English city by the sea, where the city and artists are working together to turn what was considered a public nuisance into a legitimate and treasured part of the Brighton experience. In page after page of powerful images, the authors present a pictorial evolution of street art, displaying an incredible range of styles and talents. 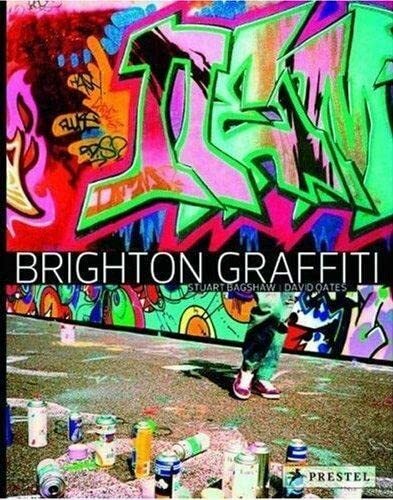 This book documents the history of Brighton graffiti, from the first crude tags that were meant to defile to the dazzling murals painted on the seawalls which extend along the coast, drawing graffiti crews from all over the world. These photographs are interspersed with quotes from the most important graffiti artists who have worked in Brighton. What emerges is an inspiring example of graffiti as a valid, respected and treasured art form within the town.